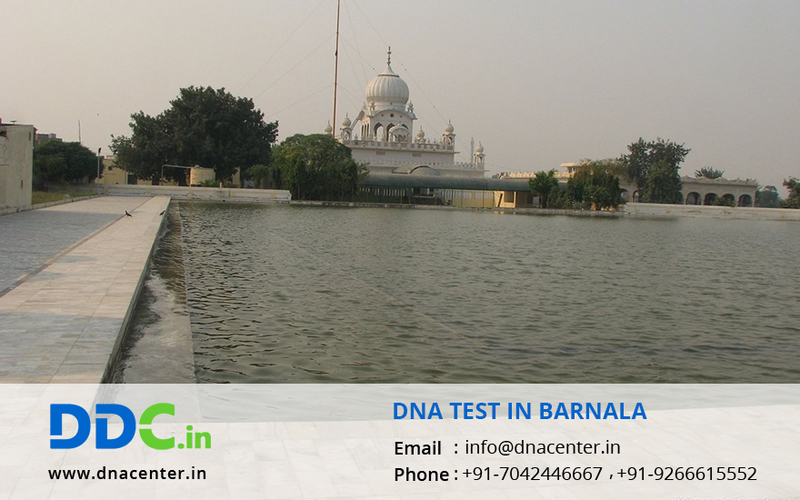 DNA Test in Barnala Punjab has been welcomed with open arms. DNA testing is used to discover serious disease that may not be visible now but can be active in the off-springs. A DNA test is used for investigations as scientific evidence; helps the father to develop a definite bond when they always thought that the child was not his, prove infidelity and many more reasons. Any case where identity is involved can be solved with the help of a DNA test. DDC Laboratories India, we have several configurations of Immigration DNA Tests available like a paternity DNA test, maternity DNA test, sibling-ship DNA test, Grandparent-age test, etc. We have DNA sample collection centers all over India and therefore it is very convenient to get the test done. We have a team of expert counselors who can recommend the right test and also suggest the right time to get it done. Your results are kept confidential. Our collection center permits us to collect your DNA samples close to your home or office with full privacy and discretion. For any type of DNA test in Barnala, Punjab, please fill the below form and our executive will contact you. For further queries give us a call at: 7042446667 or whatsapp us on 9266615552.